Day 100. Tiptoeing thru the Cow Poop. February 10, 2016. 100 days! That’s a milestone. Or is that kilometerstone? It just doesn’t have the same ring to it. 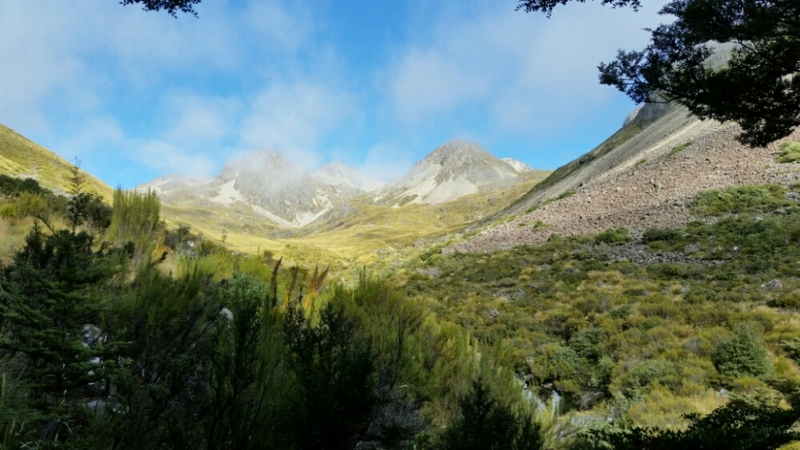 The climb up to the saddle was easy and nice. 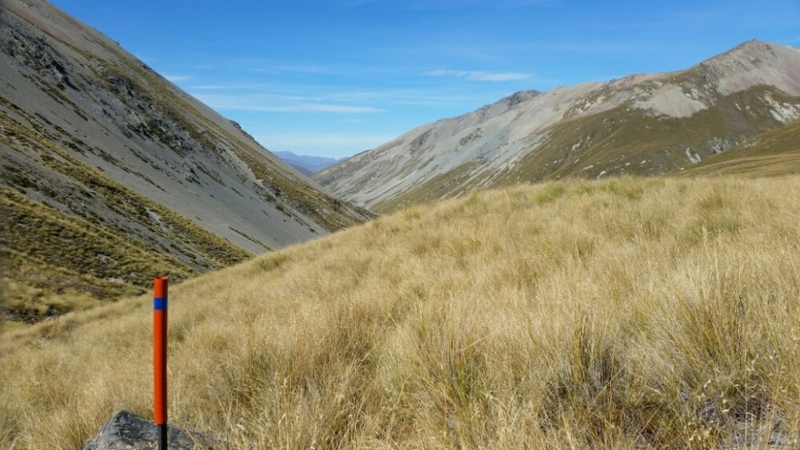 Then it was tussock bashing all the way down. I saw 2 Australian guys going the opposite way and stopped and talked to them for a few minutes. 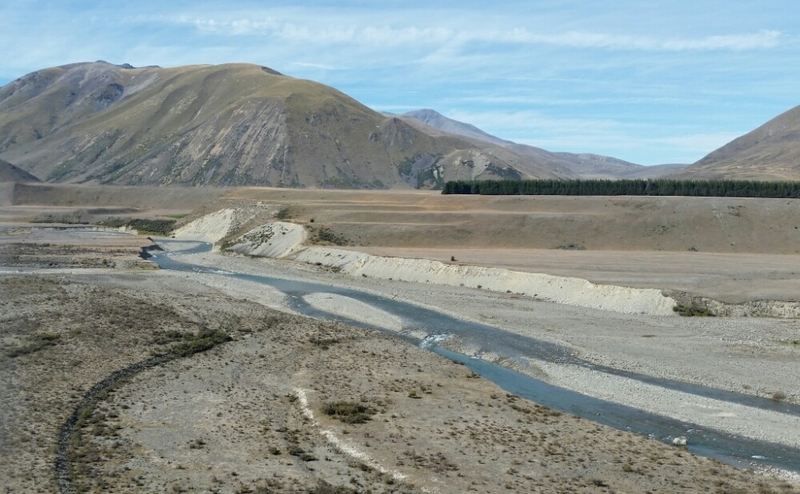 I crossed the Ahuriri River. Just over knee deep in a couple places. I got to the Birchwood carpark just before 6. I needed to get water before I camped. 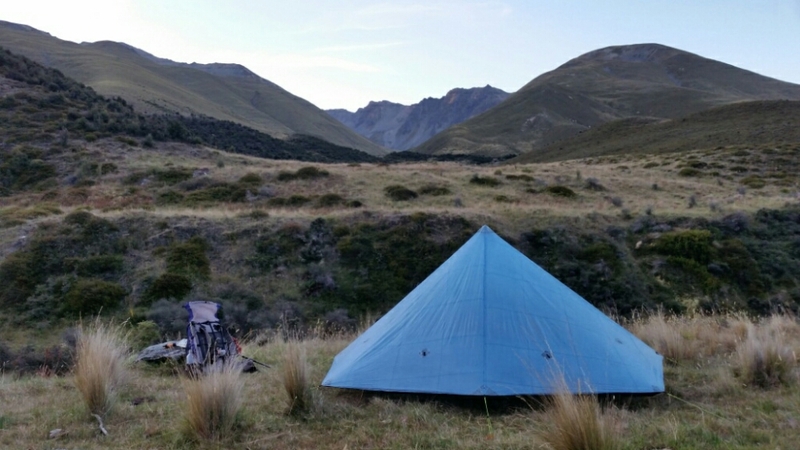 It took me two and a half hours before I found a place to set up my tent that was reasonably flat and didn’t have tons of fresh sheep and cow poop all over. There were sheep everywhere so I was also hoping to find a place I wouldn’t have wooly visitors in the night. I got some water and carried that for 90 minutes. I finally got to a gate. That was the end of the live animals. But there is still $hit everywhere. Most of it is old which is much easier to deal with. Just kick it out of the way. And it doesn’t smell as bad. I ended up in a great flat spot with a view of the way I will be hiking tomorrow. Martha's Saddle is up by those jagged peaks. Oh, the irony of enjoying my dinner of rice and beef mince and hating the process of producing that beef. 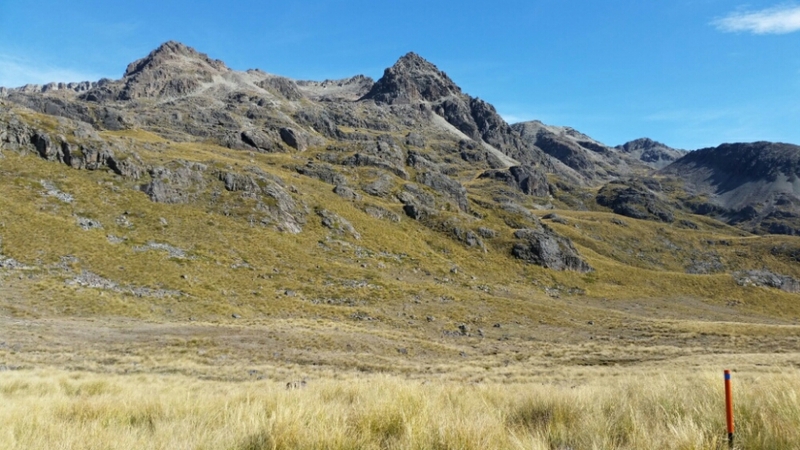 This entry was posted in Te Araroa, New Zealand 2015-16 on February 13, 2016 by nancyhikes. You may already be there in real time, but the view from Breast Hill near Pakituhi Hut is, in my opinion, one of the best on the TA. Hopefully it will displace all the visions of cow and sheep dung. Ha! Yes. It was amazing. I loved it up there. Loved the mince/cow pie irony and I’m loving following your TA tramp. Thanks so much for your entertaining and inspiring blog. I’m glad it’s something you want to read.